Please see the video explainer below. Additional BEAN tokens per each dollar invested. 100 BEAN tokens for each dollar. 75 BEAN tokens for each dollar. 50 BEAN tokens for each dollar. 25 BEAN tokens for each dollar. BEAN is a social network that is centered on economic advancement for urban communities. BEAN leverages the latest developments in social networking and block chain technology to provide a clear path for economic advancement. Although African Americans have the 16th largest buying power in the world and contribute 1.2 Trillion dollars to the United States GDP, yet so much of that economic power isn't realized where it matters most, In African American communities. Currently African Americans are lagging behind every other racial group in terms of economic upward mobility. The systemic impact of the lack of economic upward growth is reflected in the property values, schools, and weaker families in these communities. 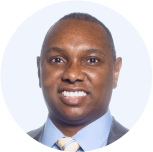 BEAN offers a clear path forward to economically empower urban communities. BEAN's intuitive platform connects you with businesses and professionals that are in your community and most importantly that are good for your community. With just the swipe of your finger you'll be able to expand your network and net worth. BEAN not only makes it easy to identify businesses but it also leverages the latest breakthroughs in blockchain technology that enables users to see their daily economic impact and be rewarded with BEAN coin for it. I believe that a rising tide lifts all boats. Everyone will benefit from BEAN but especially those who have historically been marginalized and oppressed. BEAN is not about being anti any group. Some of BEAN's most passionate advocates make up many races. 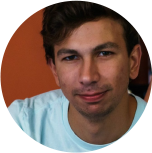 BEAN wants to work towards creating more economic advancement and equality among those who need it most. Making BANK With the BEAN BANK. 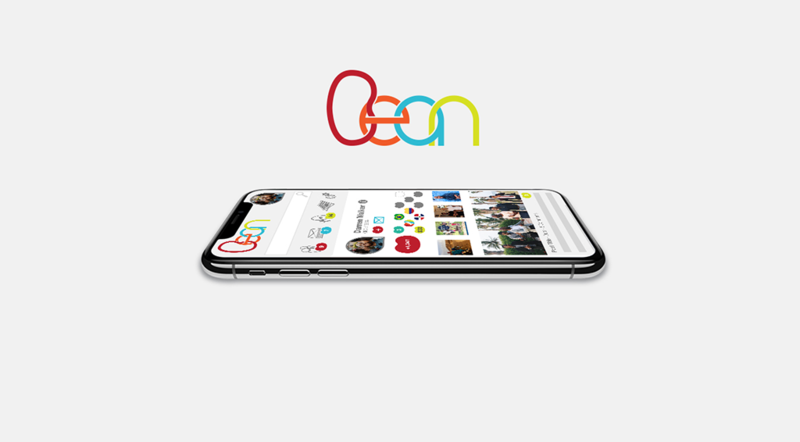 With BEAN, users are easily able to become affiliates of national and international brands and can quickly begin making bank with the BEAN bank.  The brands benefit by gaining exposure and new customers via users BEAN BANK and BEAN users receives commission when a purchase is made. to advertise on BEAN's platform. BEAN Corp. will have strategic investments into online and offline brick and mortar businesses that BEAN owns in the community and rewards it's user base to patronize. BEAN will seek out new opportunities to reinvest into its community. 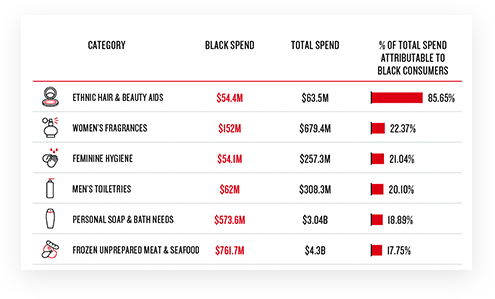 Black consumers and consumers of color alike are making considerable contributions to the overall market-in some cases representing more than 50% of the overall spending in key product categories. 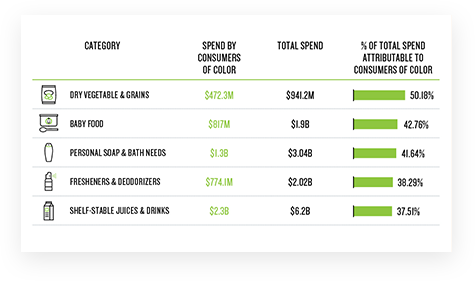 For example, half of the total spend ($941 million) on dry grains and vegetables in the U.S. in 2017 came from consumers of color. 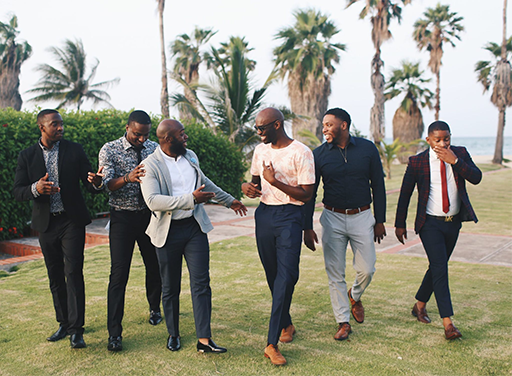 And Black consumers represented $147 million of the total spend in this category, which has recently made advances in product creation to meet the demands of their diverse buyers. a modern social networking platform to drive economic growth and inclusion. No updates, yet. Stay tuned. You must be logged in to be able to post a question. My question is pertaining to the BEAN Tokens. Where and how can they be used? Great answers - thanks for your thoughtfulness. I am in, just deciding how much. Two quick follow-ups: 1. (Maybe I missed this somewhere?) Where are you now as far as talks with possible business who would join your platform - what does the current pipeline look like? 2. Similarly, where are you as far as development of the app, including all the features mentioned here? By the way, I am so impressed with Ms. Wilson's experience and the positive feedback she's received about her work. She seems like a force - so great that she will be advising! Awesome! We’re excited about you joining in with us. Our pipeline full in terms of business owners and entrepreneurs that are waiting for our app to go live. BEAN also benefits from an extensive proof of concept 3 years ago where we observed that the demand was great and the biggest challenge was to be sure that we could adequately meet the demand. That’s why we went back into the lab and have emerged with a refined product that is going to exceed everyone's expectations. So businesses, users, and entrepreneurs are on standby and the number of interested parties is growing daily. In terms of app development we started last Monday! We’re super excited about it and it’s looking so awesome! The user base is going to be in love with how intuitive the app really is. As we go along we will be making updates and announcements at least once a month to keep everyone abreast of the latest details. In regards to Ms. Wilson your absolutely right! She’s super smart, humble and so focused on meeting her clients needs. She’s a joy to work with and I’m honored that she’s apart of our team. So much to like here, a great mission backed by a solid business plan. I may invest regardless, but I am struggling with two questions. First, I am concerned with how you will motivate enough customers to decide to join the platform. In general how do you think you can build that consumer base, and specifically how you will get people who prefer speed and simplicity to sign up for a platform that adds another step? Second, the strategic investment side worries me; It seems like a risky secondary business. Your primary business - the platform itself - could be doing well, but some of the businesses you invested in might not, and that brings down value significantly. As an aside, have you thought about using the platform for employment as well - in other words, if one of the businesses on your platform is hiring, potential applicants may connect with that business for the same reasons consumers do. Thanks! Thank you for your questions, kind words and interest in BEAN. In regards to your first question, those were some of my exact sentiments when I did the proof of concept 3 years ago. So I know how you feel. 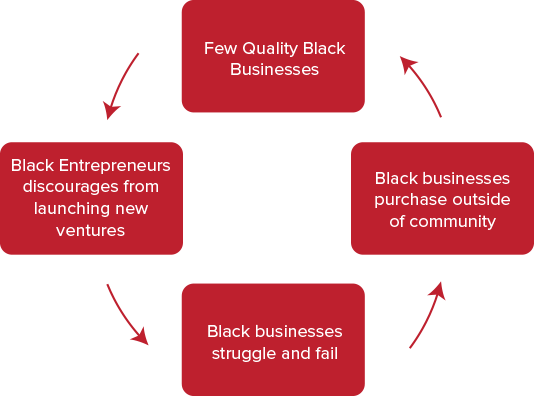 However what I found to be true was that the African American consumer base as well as the African American business owner and entrepreneur are deeply passionate about the platform and are eager to participate in it and spread the word. Especially one that is well designed, intuitive and has built in reward systems. What is recognized and rewarded is often repeated and BEAN is doing all three. What I also found to be true during my proof of concept testing was that BEAN resonated with people on a nearly cellular level. They felt as if it represented them personally and therefore their commitment to it’s success ran deep. BEAN will not be a slow app and will not feel like an added step by any means. It will be a cutting edge user experience that is well designed, intuitive and provides recognition and rewards to the user base. BEAN is leading this effort by incentivizing where consumers purchase goods from by rewarding them with BEAN cryptocurrency token BEANCOIN. 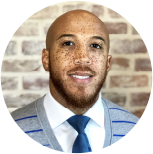 This will set a precedence as the first company African American or otherwise to leverage the benefits of the blockchain to build African American community and people of African descent throughout the diaspora. BEAN's scope is not just domestically but we’ve already set our sights abroad. Specifically in Brazil has more than 40M African people and Colombia where there are more than 4M Afro Colombians that are in need of similar digital economic structure. In regards to the strategic investments. BEAN will curate investment opportunities after doing our due diligence. We believe this will be a thriving aspect of our future as pension plans are soon coming to an end and personal as well as institutional investors will be looking for opportunities to beat the market. Thanks again of your interest in BEAN and we would be honored if you joined in with us on this journey to changing the economic trajectory of our community. BEAN is the next step! So I saw you all on Instagram and there was an article that caught my eye. So far I am loving everything about this new project you are working on, i am all for black owned businesses and the advancement of the what I call or what I have learned to call "the black dollar". My first question is with all the ideas of investing in black owned businesses are you going to partner with a firm or firms that practice in how to help small businesses well consulting them by teaching them different things they can do in running their business better? and my second question is will your company invest in the economic growth of the urban area? investing in the construction of new facilities that encourage economic growth when it comes to social issues in these urban areas? Hi Travon, these are great questions and I’m glad you asked. In regards to your first question the answer is a resounding yes! BEAN will help businesses run more efficiently by allowing them the opportunity to gain access to the customer feedback via the BEAN app. So many businesses in our community do not have an effective customer retention and customer experience systems in place. There are people all over the country that are filled with passion like you who want the black dollar to be utilized to uplift our community. Many of these same people are great resources as to how to make the user experience better. Also BEAN will create educational content for things as simple as starting an LLC all the way to taking a company public via an IPO. All of those resources are available to us in BEAN. In regards to your second question, the answer is absolutely yes! BEAN will invest urban communities however we won’t stop just there. BEAN will also give the user base the opportunity to invest and have ownership/shares in said new construction and rehab opportunities. Now allowing the user base to rebuild the community and then reap profits as well. Therefore fulfilling both the moral and economic incentive to rebuild our community. Thank you for your questions and for considering joining us on this journey of rebuilding our community! Read the Form C filed with the SEC for other important disclosures, like financial statements, Directors, Officers, shareholders with more than 20% of voting rights, and more. The Company may make Irregular Use of Proceeds. Such Irregular Use of Proceeds, which may be in material amounts in excess of $10,000, may include by way of example and not limitation: Vendor payments and salary made to management, business associates, relatives, related parties and/or affiliates thereof; expenses labeled "Administration Expenses" that are not strictly for administrative purposes; expenses labeled "Travel and Entertainment"; and expenses that are for the purposes of intercompany debt or back payments. 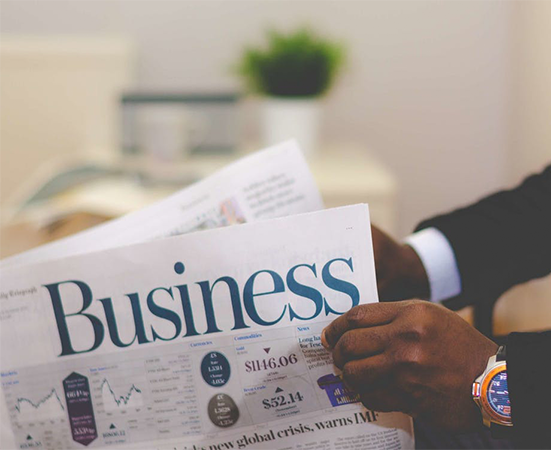 Without limiting the above, the Company may elect to vary from the proposed use of funds as circumstances or assessments of circumstances following the closing change. This offering contains forward-looking statements within the meaning of the federal securities laws. We caution investors that any forward-looking statements presented in this offering, or which management may make orally or in writing from time to time, are based on the Company’s beliefs and assumptions made by, and information currently available to, the Company. When used, the words “anticipate,” “believe,” “expect,” “intend,” “may,” “might,” “plan,” “estimate,” “project,” “should,” “will,” “would,” “result” and similar expressions, which do not relate solely to historical matters, are intended to identify forward-looking statements. Such statements are subject to risks, uncertainties and assumptions and are not guarantees of future performance, which may be affected by known and unknown risks, trends, uncertainties and factors that are beyond the Company’s control. Should one or more of these risks or uncertainties materialize, or should underlying assumptions prove incorrect, actual results may vary materially from those anticipated, estimated or projected. While forward-looking statements reflect the Company’s good faith belief when made, they are not guarantees of future performance. The Company expressly disclaims any responsibility to update forward-looking statements, whether as a result of new information, future events or otherwise, except as required by law. Moreover, we operate in a very competitive and rapidly changing environment, and new risks emerge from time to time. It is not possible to predict all risks, nor can we assess the impact of all factors on our business or the extent to which any factor, or combination of factors, may cause actual results to differ materially from those contained in any forward-looking statements we may make. In light of these risks, uncertainties and assumptions, the forward-looking events and circumstances discussed in this offering may not occur, and actual results could differ materially and adversely from those anticipated or implied in the forward-looking statements. We undertake no obligation to revise or publically release the results of any revision to these forward-looking statements, except as required by law. Given these risks and uncertainties, prospective investors are cautioned not to place undue reliance on such forward-looking statements.